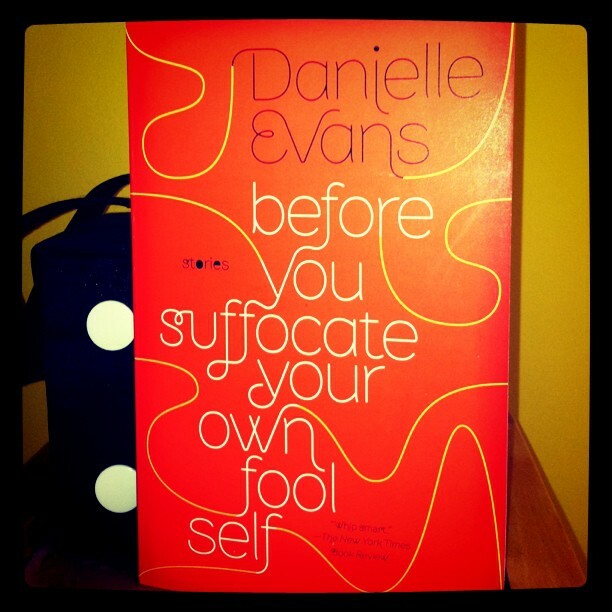 The paperback version of Before You Suffocate Your Own Fool Self is out this week. If you know someone who needs a copy, but prefers their books in convenient lightweight form, let them know! NPR has just kicked off its 7th round of the Three Minute Fiction contest, and I am guest judging. Details here. I’ve been away at Art Camp for most of the summer, and while it was utterly blissful both to be at writing retreats and to be unplugged from the internet, I didn’t have the chance to announce some exciting things: Before You Suffocate Your Own Fool Self co-won (along with Susanna Daniel’s Stiltsville), The 2011 PEN American Robert W. Bingham Prize. It was also named the winner of the 2011 Paterson Prize for fiction, and is in good company as a nominee for the 2011 Hurston-Wright Legacy award. This week I got the chance to talk to the NEA’s ArtWorks blog, and to head up to New York for a panel discussion in honor of the winners of Glamour’s top ten college women contest. The panel featured Taraji P. Hensen, Jodi Kantor, Megan McCain, Danica Patrick, and yours truly. You can read panel highlights here, but more importantly, you should read the bios of the contest winners, a truly impressive group of young women. I’ll be posting an updated fall events calendar soon. Danielle, your were simply charming being interviewed on “All Things Considered” a few days ago. Congratulations to AU for bringing your kind of energy into the fold. My best wishes for the success of your book and the ones yet to come. BTW, I’ll write your theme song anytime you are ready. Fantastic. Looking forward to picking up your book. I heard you on NPR yesterday! Love your interview on NPR, i was hoping you had a facebook or twitter following. Congrats on winning. What an accomplishment. Enjoyed the interview as well. Best Wishes for continued success with your book. So happy you’ll be joining us in Charlottesville next month for the Virginia Festival of the Book. “Before You Suffocate Your Own Fool Self” will be discussed tonight by the members of the African American Authors Book Club of Charlottesville/Albemarle, in preparation for your presentation and I’m certain it’ll be an informative and lively meeting. We look forward to spending some time with you while you’re in town.